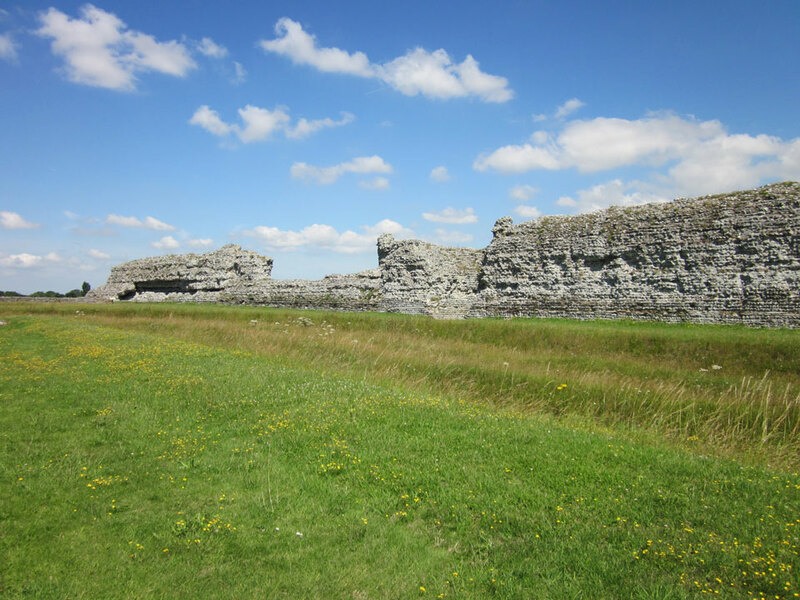 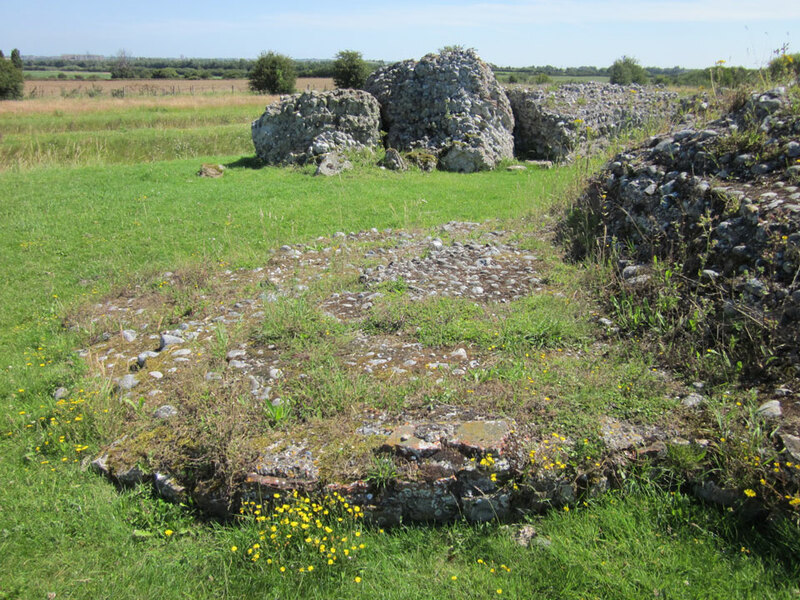 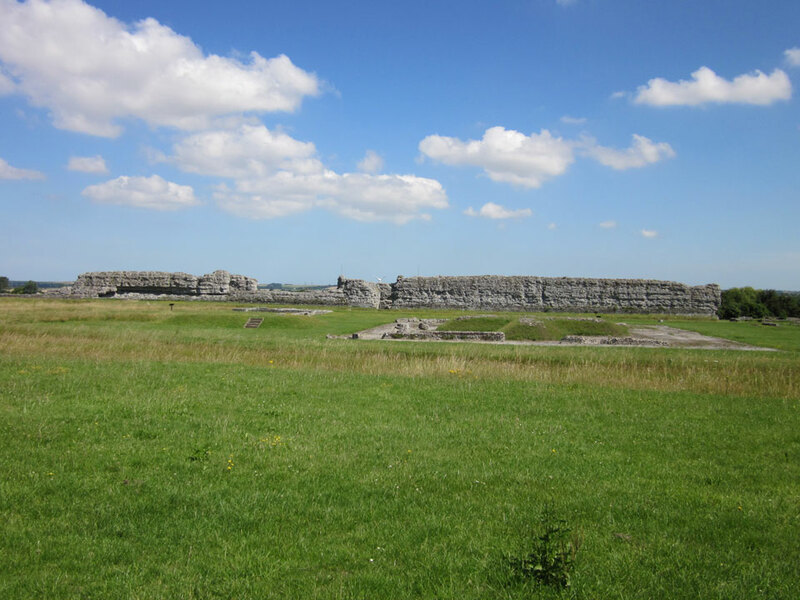 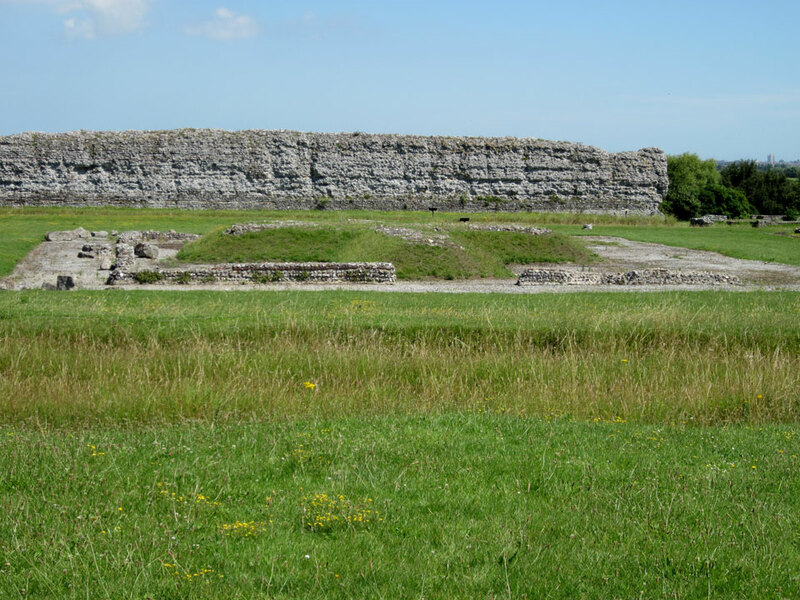 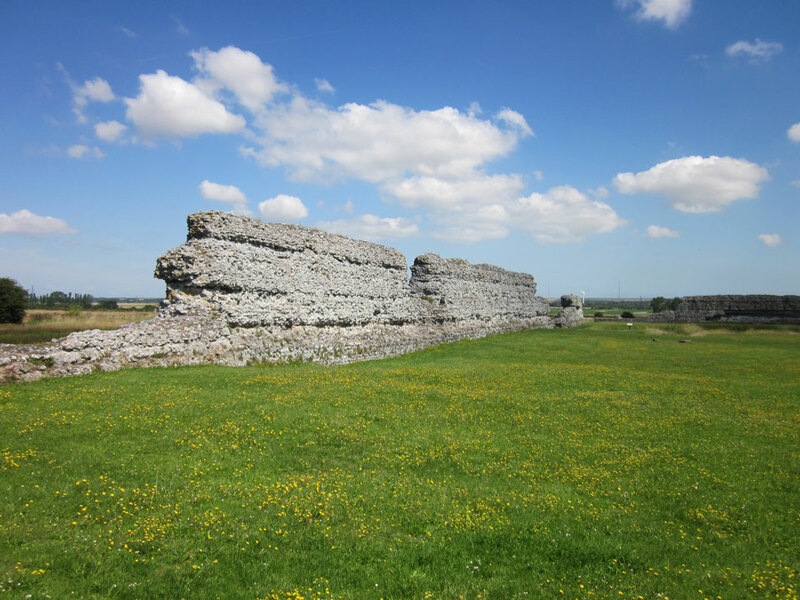 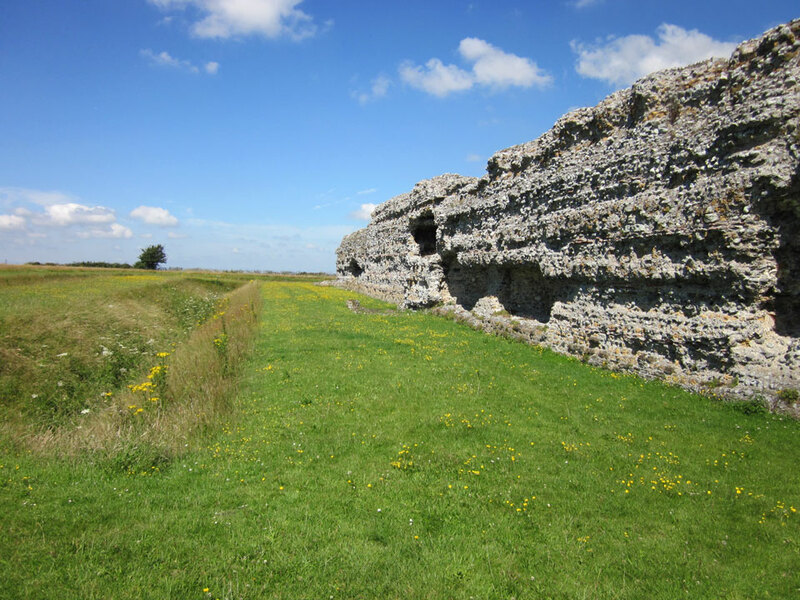 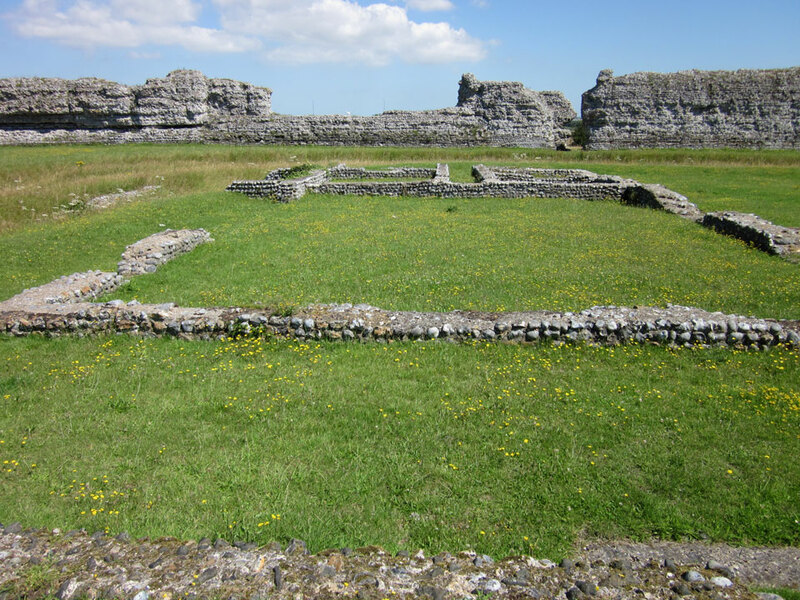 Richborough Castle is a Roman fort (Rutupiae) built on the site of their first landing in AD43. 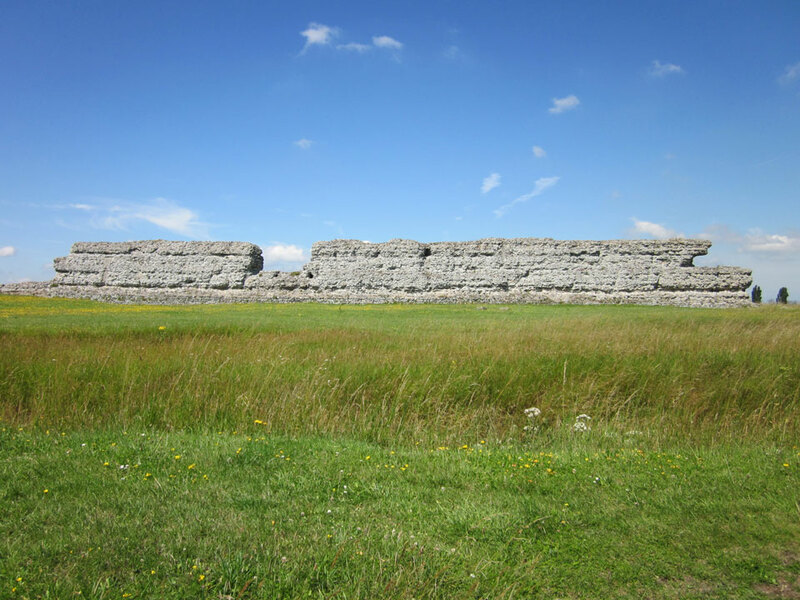 The first site was defended by earthworks and in AD85 an 80 feet high marble covered arch was built to commemorate the conquest of Britain. 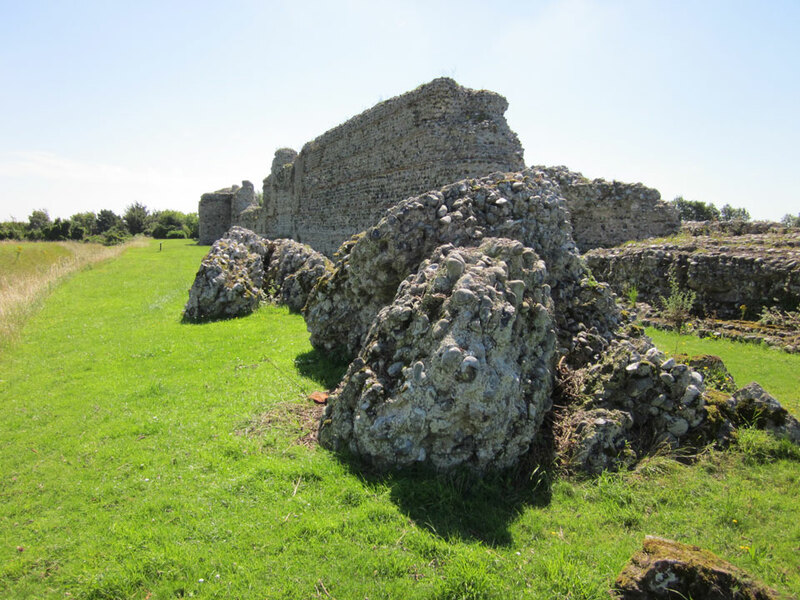 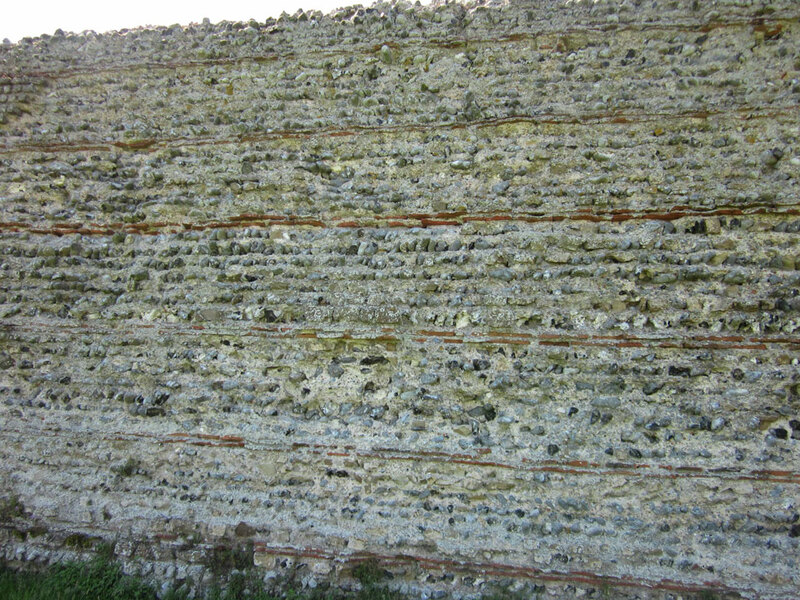 The original fort was demolished in AD275 and the new stone walls were added in AD290, turning it into one of the most important of the Saxon Shore forts. 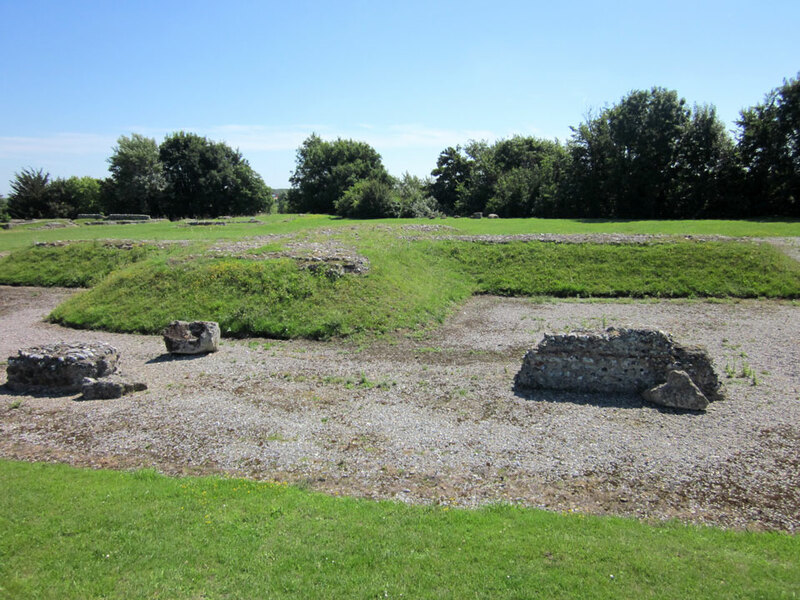 The walls on three sides of the fort and the surrounding earthworks are still standing but only the foundations of the arch are left. 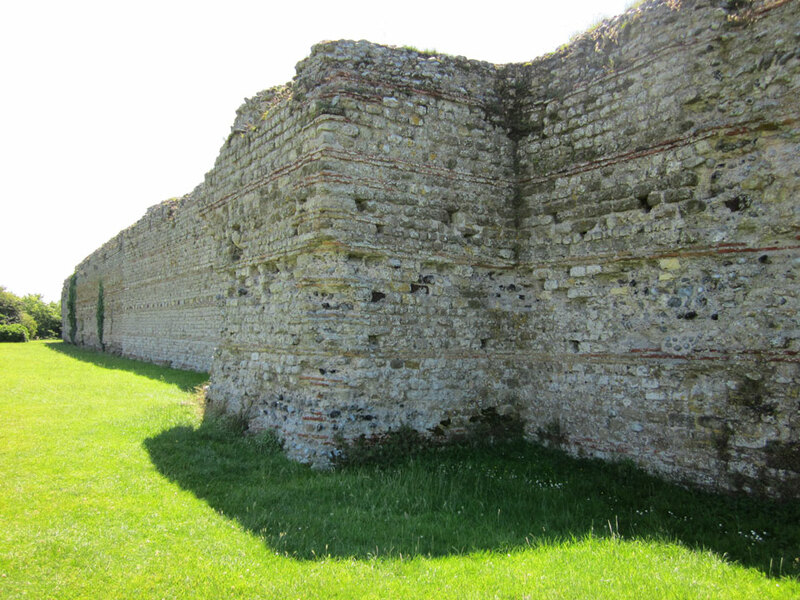 When the fort was built it was it was surrounded by water on three sides, but silting of the Wantsum Channel which once separated the Isle of Thanet from the rest of Kent has left it two miles from the present sea shore. 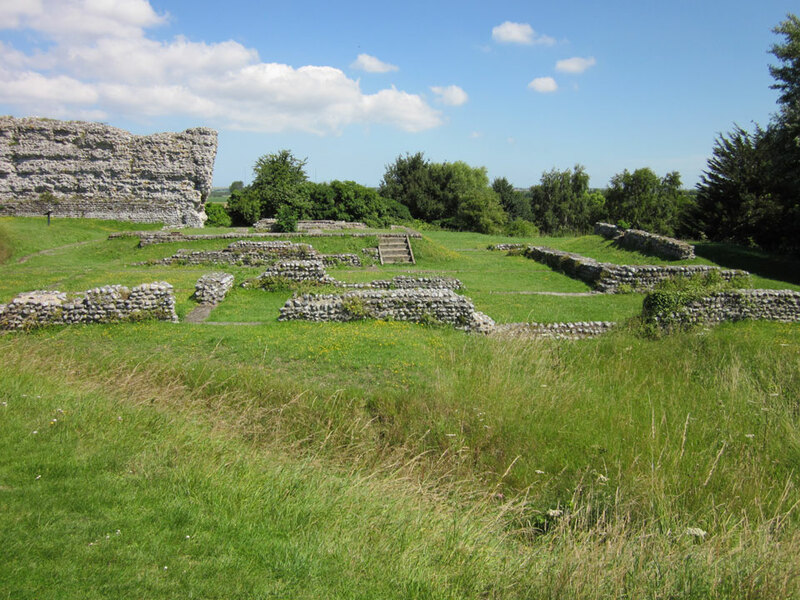 English Heritage, open daily all summer, weekends during the winter.